Tinder is a popular dating app for mobile devices, in that it streamlines the dating process. It filled a huge void in the online dating community, helping to bring people together who wanted to cut to the chase – decide if they wanted to meet someone based on a picture – and that was it. 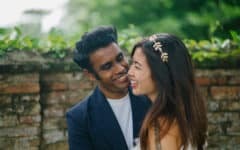 It’s great for people who want to jump right in and start matching and communicating, rather than having to go through a bunch of soul-searching relationship questionnaires. However, Tinder has some drawbacks. You can’t go back to previous suggested matches and re-evaluate them; you have to decide in the moment, unless you have a paid subscription. Its targeted user demographic is people under the age of 30, and the monthly cost of Tinder’s paid subscription service is doubled for users aged 30 and over. And some people are worried about the privacy implications of one of its newer features to share your location in order to find matches. If you need some more information about what’s right for you, we’ll cover all the best hookup apps, and dating apps better than Tinder. Whatever you’re looking for in a dating website or app, if Tinder doesn’t ignite your dating spark, then check out these 8 Tinder alternatives. One of the most popular Tinder competitors, the claim to fame for Match.com is the sheer volume of its user base. Serving over 25 countries around the globe in 8 different languages, it had over 15 million active members and 42 million sign-ups in 2004… just imagine how much it has grown since then! Match.com’s profile-building process favors concrete aspects such as physical appearance, habits, and hobbies. Match.com is also rather expensive to use, and most of its useful features – such as viewing and contacting members who are interested in you – are locked unless you have a paid subscription. Among the hottest new dating apps like Tinder is Happn, which bases your matches on the places that you visit. When someone else using Happn is nearby, they’ll show up as a potential match – including how many times you’ve crossed paths with them and how long ago they were in the area. From there, you can secretly “like” them, or just say “hello.” And if they “like” you back, you can have a chat about where you hang out, what you like to do, or maybe even something that you’d both be up for! 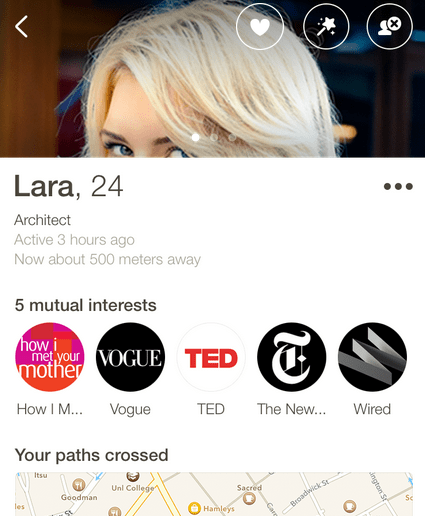 Happn is one of the best apps like Tinder for hookups, but you need a Facebook account to use it. Don’t worry, though; it won’t post your location, activity, or any other sort of notifications to Facebook. Hinge is sometimes called “the anti-Tinder” of free dating apps because it seeks to combine the convenience of a mobile dating app with the deeper matchmaking of traditional online dating. Like Tinder, you can create your profile manually or copy over your Facebook profile details. 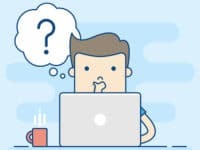 Then you pick your preferences in a match (including “dealbreakers” that you won’t budge on), as well as six “prompts”: three relationship-related questions you’d like to ask potential matches, and three of those questions you answer yourself. From there, Hinge matches you with people based on how your preferences and “prompts” line up. If you like each other, you can use a “prompt” as a starting point for a conversation. Similar to eHarmony.com, Hinge guides your communication so there’s less chance of “ghosting” – one person cutting off a relationship by just never responding. 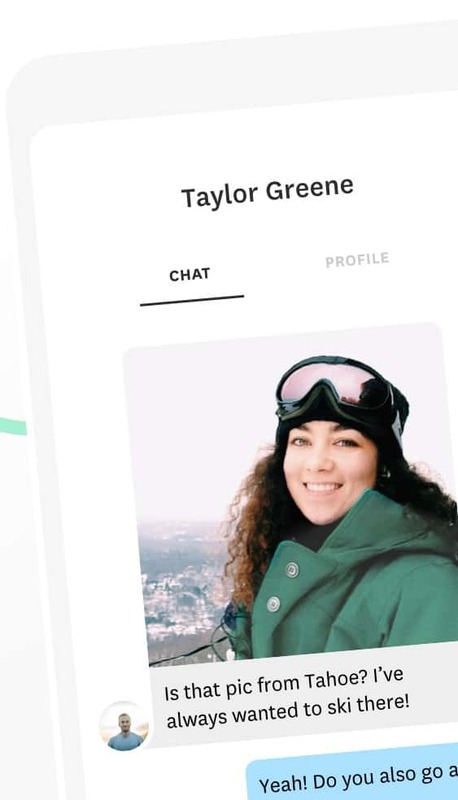 Made by an ex-Tinder employee, Bumble takes the like-or-pass Tinder formula and adds one major shakeup. 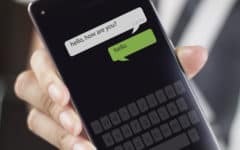 When a man and woman connect on Bumble, the woman has to send the first message – or, if both matches are the same gender, either one can start the conversation. This takes the pressure off men to get things rolling, and encourages the ladies to set the pace of a relationship instead of waiting for their inbox to be flooded with half-baked pickup attempts. 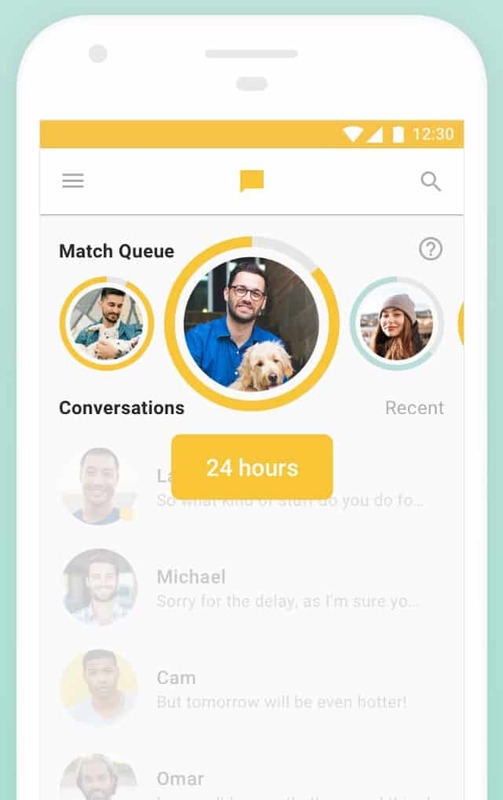 Bumble also allows you to look for best buddies or business partners instead of romantic matches with their Bumble BFF service, and most of its features are free to use (though its optional paid functions are relatively affordable). 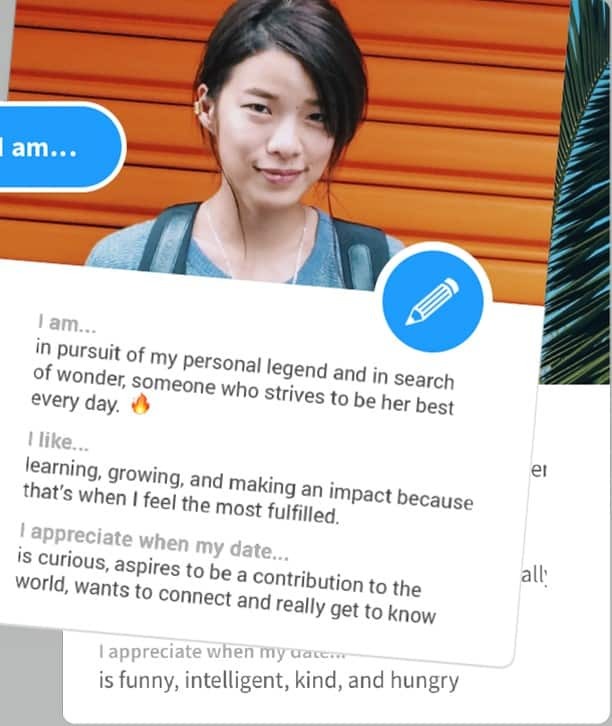 The brainchild of three sisters from New York, Coffee Meets Bagel is designed to be better than Tinder at helping women be more active on the dating scene. It does this by limiting the number of matches you can save as “likes” to just 6 at a time. 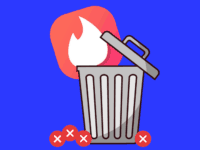 So, while you get new matches every day, you’re forced to give each of them a hard look and only hold onto the ones whom you’re really truly interested in. If someone likes you back, you can start chatting with them, and Coffee Meets Bagel will even help you out by suggesting a subject to start the conversation around! Note that Coffee Meets Bagel requires a Facebook account to use, and that it can get expensive if you opt for the paid features. Grindr is one of the most popular dating apps like Tinder for gay, bisexual, transgender, and queer men. It works somewhat similarly to Happn: just sign up and put your profile together (no outside accounts needed! 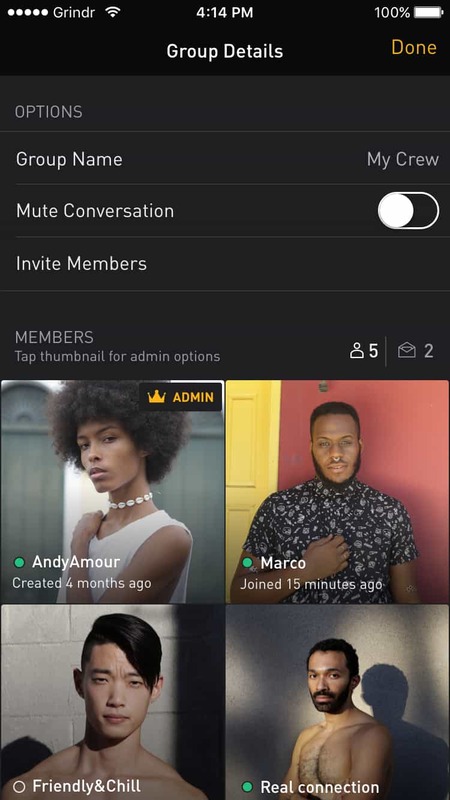 ), have a look at who is using Grindr in your area (you can filter them based on profile details), and then send them a message – or a “Tap” icon if you’re feeling shy or can’t quite put your feelings into words. Or, if you’re feeling bold instead, start a group chat and see if a bunch of other guys want to get together to do something fun! Grindr also has some other cool support and privacy tools, too, such as the ability to set reminders for HIV testing. It’s one of the best hookup apps for the LGBTQ+ community. OkCupid.com is a dating website that is quite similar to Tinder, in that the matching process that it uses is made out to be somewhat of a game. The system involves answering fun quizzes created by the website’s staff and users about personalities, relationships, and dating. Users are matched based on their answers, what answers they would like to see from their matches, and how important they consider each question to be. 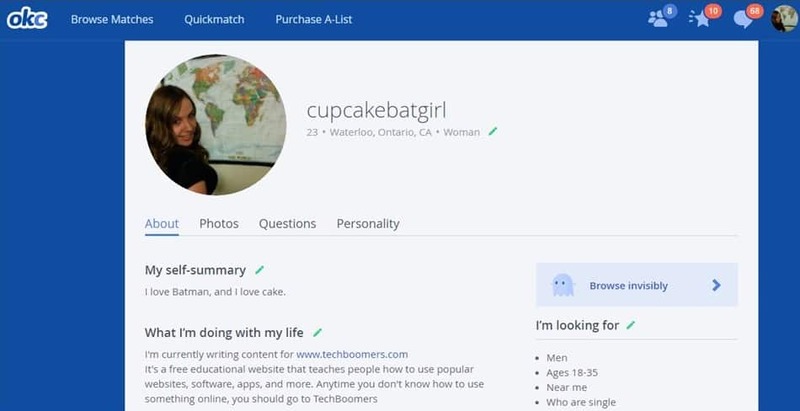 OkCupid is mostly free to use, but purchasing a paid subscription gives you better search options, better visibility in other users’ lists of potential matches, and an advertisement-free experience. 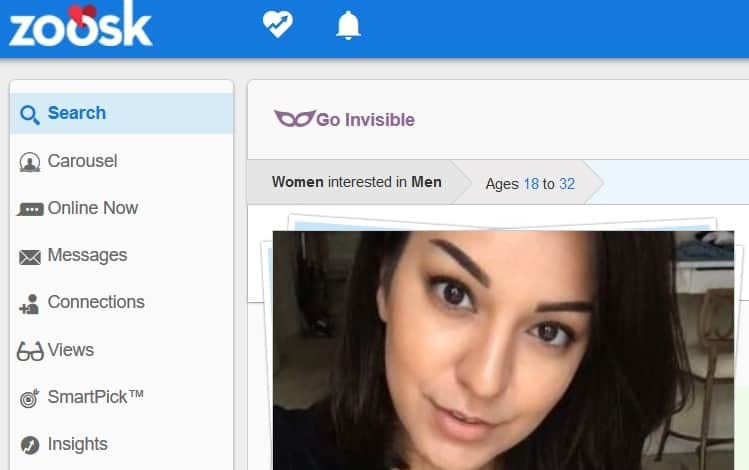 Zoosk.com is even more like Tinder than OkCupid, both in that its matching process is game-like and that it relies on heavy integration with Facebook. Nevertheless, it shares some similarities with the latter website, too, in that it includes popularity contests and personality quizzes. Zoosk doesn’t use overarching one-shot tests to determine whom you should be matched with. Instead, it adjusts the kinds of people that you match with based on what you do on the website; that is, the more games you play and the more quizzes you answer, the better Zoosk will be at finding you compatible matches. Like Match.com, most communication options on Zoosk are limited unless you have a paid subscription. 1. Get your profile photo game on point. Having bad profile pictures is the #1 reason people get skipped over on dating and hookup apps. You need to have a collection of good photos, showcasing things you like, that don’t feature other romantic partners, and that aren’t a bathroom selfie of you and your dog. PRO TIP: To get the low-down on statistically-proven successful profile pics for dating apps, check out this article on taking dating profile pics that get you matches. 2. Check the website or app every day for new possible matches. 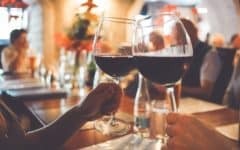 New people are signing up for online dating every day – and many people like to switch through various sites and apps if they feel they aren’t having success. There are likely dozens – maybe even hundreds – of new people joining your dating app of choice each day. They best way to increase your odds of matching is to check out the profiles of any new person that joins. 3. 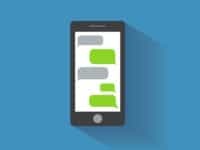 Craft a thought-provoking opening line while messaging. If you want people to respond to you, you have to say something intriguing with your opening message. The best dating app opening lines are ones that make people feel at ease, are funny, and give them something your potential match actually wants to respond to. 4. Pump up your profile description or tagline to highlight your best features. Many people actually read the profiles of people on dating apps – women in particular. So if you want to seem appealing (other than with your amazing profile pictures), you need to tell that stranger on the Internet enough about yourself that they think you’re worthy of meeting. Try adding at least a short paragraph about what you do for work, what your hobbies are, and how you spend your free time. Include things you like to do, which will help put possible dates in the mind of your matches. A good way to get many as many matches as possible (remember, we said “as many” not “quality”) is to ‘swipe right’ or approve any person you are matched with. The other person won’t be able to tell the difference between this and you actually reading their profile, so there’s no harm. The downside: you will match with literally everyone using the app in your area, so you’ll likely to have to sift through quite a few replies you aren’t interested in. These sites and apps are all targeted at specific types of people, thinking that your background, interests, or desires will help you find more in common with a match. Check out these specialty apps for dating or hookups to find matches today! Ready to meet someone as talented, charming, and ambitious as you are? The League is a Tinder-type app that matches you based on how socially popular and professionally successful you are, according to your Facebook and LinkedIn profiles (respectively). You have to apply to use it, and only about 1 in 5 people get in! This unique dating app flips the usual script and matches people not based on what they’re both interested in, but instead according to what they mutually can’t stand. If you’re a cynic looking to unleash your hidden romantic side, Hater may be the app for you! 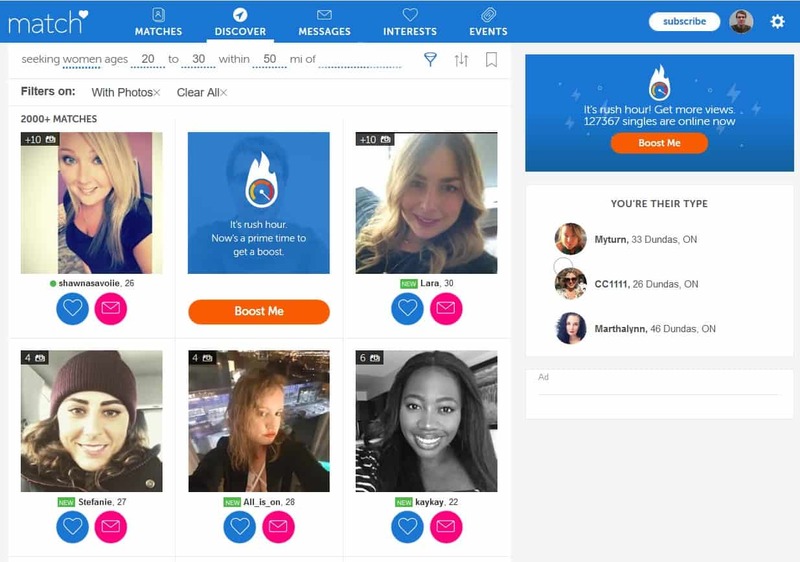 HER is one of the top dating apps for lesbian, bisexual, transgender, and queer women. Find a best friend or the love of your life, join communities to discuss the LGBTQ+ issues that matter to you, and get the lowdown on local LGBTQ+ events where you can meet new friends… or perhaps more! If you have a beard or mustache – or want to date someone who has one – then Bristlr was created with you in mind. Its purpose is to get people who fancy facial hair together with the people who have it. As quirky as that may sound, Bristlr has quickly become one of the most popular and best new dating apps. Just because you’re over 50 doesn’t mean you’re too old for love – or at least to make new friends! Stitch is a different kind of dating app that is aimed at combating loneliness in older adults. Whether that means finding a romantic partner, an inseparable chum, or even just a group of like-minded people to hang out with, it’s all up to you! Check out our course on how to use Stitch to learn more! Finding love or friendship online should be fun, but there are some who try to do it at the expense of others. Learn some precautions you can take to avoid them stealing your money or information – or worse. 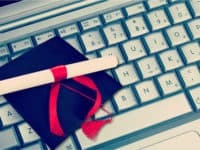 Don’t want to sit down at a computer to do online dating? These 7 apps are among the best at helping you find love on the go to fit your busy lifestyle. If you’re dating online to find something more than just a quick hookup, these 6 services are your best bet at finding love that lasts. If you’re at a loss for what to do on a date, check out Groupon.com. It will help you find fun things to do and places to go in your neighborhood. Plus, you might be able to score some deals!